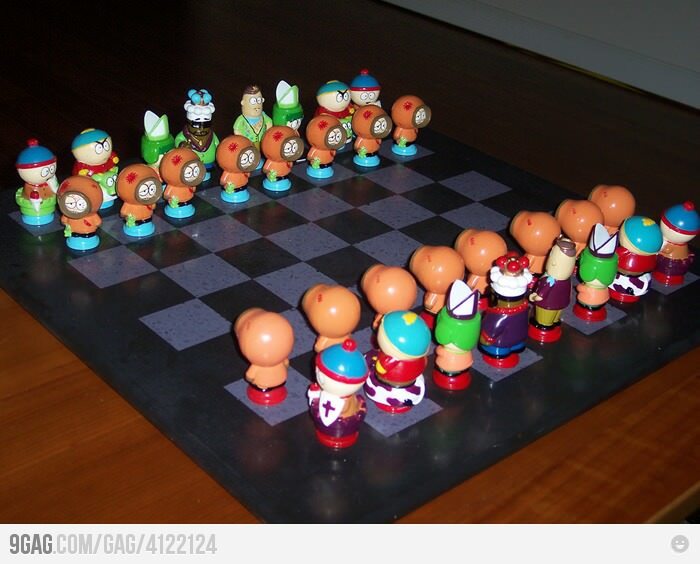 South Park Chess Set. Saw this post on 9gag the other Tag. Wallpaper and background images in the South Park club tagged: south park chess set. This South Park photo might contain billardtisch, snookertisch, billard, snooker-tisch, billardzimmer, billardsalon, billardraum, billard-salon, billardhalle, billard-raum, billard-halle, billardzimmer, and billard-raum.